When any work of art - novel, film or television show - purports to be "historical", there is always a fine line to straddle between accuracy and the ability to tell a good story. Works that feature actual historical characters as major players have an even more difficult task - how does an author craft one's own narrative while still adhering to what actually happened? In short, how does one write a novel and not just a history book? For example, The Other Boleyn Girl, the historical chick lit novel published in 2001, throws accuracy out the window in pursuit of melodrama and an engaging plot. The book focuses on King Henry VIII's liaisons with Anne Boleyn and her sister Mary, while simultaneously pursuing an annulment of his marriage to Catherine of Aragon. Present are the sort of inaccuracies that give history majors conniptions, ranging from the excusable (characters are slightly different ages) to the absurd (historical figures are suddenly homosexual; "secret" weddings occur that never happened in reality). 2009's Wolf Hall, by Hilary Mantel, is one of the most acclaimed books of last year, winning the prestigious Man Booker Prize for best novel by a British citizen. The book aims to tackle the same subject matter - Henry VIII's estrangement from Catherine of Aragon and his marriage to Anne Boleyn. However, where The Other Boleyn Girl was contrived and melodramatic, Wolf Hall strives for fidelity to the historical record. There can be no question that Wolf Hall achieves its historical goals. But, more importantly, can Mantel tell a good story at the same time? My answer is an emphatic "no". Contrary to most literary critics, I couldn't manage to get caught up in Mantel's portrayal of 16th century Britain. The work centers around Thomas Cromwell, the scion of an abusive working class father, who works his way up to become an adviser to King Henry VIII himself. Cromwell is the pragmatist who orchestrated Henry's first annulment of marriage...and then the next three marriages, before his execution following the short and disastrous nuptials between King Henry and Anne of Cleaves. Mantel certainly has all the facts straight and all the characters in the right places - in an interview with the Wall Street Journal, she stated that she attentively used a pack of note cards to record where each person was on a day by day basis. "You really need to know, where is the Duke of Suffolk at the moment? You can't have him in London if he's supposed to be somewhere else," she explained. This makes sense, and it also makes for a novel that reads like a book report. The first half of the book comes across as a historical chronicle of names and dates - Thomas Cromwell was named to such and such rank on this day, visited this estate during this month, and so on. Historical accuracy can work if you still manage to create some sort of drama, but Mantel doesn't seem to be able to combine her love of factual perfection with any sort of suspense, and often gets too caught up in the details. For example, the number of characters, while certainly accurate, is overwhelming and unnecessary. Even with a list of dramatis personæ prefacing the text, I still found myself retreating to Wikipedia with a startling frequency. Even worse, certain occurrences should have been combined or elided to improve the narrative. Instead, the reader is left with a large number of historically accurate scenes, none of which is longer than a page or two in length. It's hard enough when writing a historical novel to muster any sense of urgency or tension, seeing as the reader already knows how it's all going to end. The fact that most of Mantel's scenes are about as long as your average tweet don't help in this regard, and it just makes for a disjointed muddle of a narrative. If I sound incredibly disappointed, it's because that Mantel actually has a good deal of talent. Around page 350 or so, she finally finds her stride. After a lot of unnecessary build-up, the remaining chapters suddenly develop a sense of purpose and direction that the first half of the novel lacks. I can't say that the payoff is worth the seemingly interminable first two acts, but I can say that the plot tightens, the conversations become more interesting, and the stakes get higher. And while Mantel isn't that great at weaving together a plot, she can string together some very interesting characters. Henry struggles to be a patient and fair king while his emotions often get the better of him; Anne Boleyn is equally flirtatious and conniving; Cardinal Wolsey tries fruitlessly to maintain the Catholic faith in a country that no longer has any use for it. But the shining character is Cromwell himself - deft, clever, politically astute, self-educated, a humanist and a scholar. By painting Cromwell in such terms (and simultaneously portraying Cromwell's rival Thomas More as a dogmatic zealot), Mantel is providing an alternative to the famous play A Man for All Seasons. 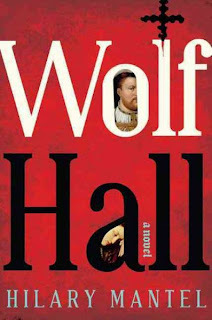 In Wolf Hall, Cromwell is the good guy, More the unbending fanatic, and the role reversal can be thought-provoking. But at the same, the book focuses too much on religion without ever really having anything interesting to say. The same critique of bureaucratic faith is repeated over and over for five hundred pages. The story, at times, functions as a good allegory as to the dangers of religious fanaticism, but more often then not Mantel seems to be struggling to find something relevant or profound to say about faith, and coming just a step short. Sometimes People Are Zealots, the book is trying to proclaim, but it never manages to explore what makes people zealots in the first place. At their worst, the religious sections of the book can be preachy, but more often they are simply boring. Mantel is on record saying there will be a sequel, covering the events leading up to Cromwell's downfall and execution in 1540. Now that the plot has found its legs and the leading players have been adequately established, I have faith that the second volume will be better than this one. Toward the end, Wolf Hall hints at being worthy of the heaps of critical acclaim that have been piled upon it, but most of the time it sinks under the weight of its own dry historical precision.